Engaging with the public helps us to understand people’s needs and ensure that health and care services are better designed to meet these needs. Read on to find out how you can get involved and help to shape our decisions and services. Please note, this information can all be made available in a range of languages, Easy Read or audio format. To request an alternative format, please email ✉ banes.yourvoice@nhs.net or call ☎ 01225 831 800. If you, or the person you care for, require support to take part in any of our engagement activities, please just let us know using the contact details above. We are committed to putting people who use services, those who care for and support them, and the wider public, at the centre of everything we do, ensuring there is a public voice that can influence key decisions and help to shape our services. Are you interested in having your say about how local health and care services are developed? Do you have views and experiences you want to share? 1. Find out about our current projects and consultations and how you can have your say, here. 2. Join our Your Health, Your Voice group to meet with commissioners and feed back on our plans to improve local health and care services. Find out more here. 3. Discover what our Community Champions have been doing to help us develop services, and current opportunities to be a public representative, here. What’s your view on NHS-funded patient transport? Here is information about our current projects and consultations and how you can get involved. Please note, this information can all be made available in a range of languages, large print, Easy Read or audio format. To request an alternative language or format, please email ✉ banes.yourvoice@nhs.net or call ☎ 01225 831 861.
helping people to age well. Over the coming months, the NHS in B&NES, Swindon and Wiltshire will be working with local people and partners – including councils, the voluntary and community sector and social care – to develop a local plan for the next five years. We want to turn the national ambitions laid out in the Long Term Plan into real improvements to services and outcomes for local people, building on the progress we’ve already made together over the last few years. 1. What would you do to give people more control of their care? How would you help people live healthier lives and make it easier for people to take control of their own health and wellbeing? Fill in this survey online, or download a paper version. 2. What would you do to give people better support? How do you think local health services can provide better care for people with conditions such as heart and lung disease, dementia and autism? Fill in this survey online, or download a paper version. Both surveys are available in Easy Read format and British Sign Language (BSL). To request the surveys in a different format, please email enquiries@healthwatch.co.uk or call 03000 68 3000. How GP practices can work more closely together and with other services (such as hospitals, pharmacies, mental health and social care), to improve care for patients. We will soon be sharing a list of dates when you can go along and chat with Healthwatch in different locations across B&NES. In the early summer 2019, NHS BaNES, Swindon and Wiltshire CCGs will respond to feedback that people have shared with Healthwatch during the ‘What would you do?’ campaign. We will then be asking people to share their views on our local priorities and plans for health services. This feedback will help shape our five year plan, which we will submit to NHS England in the autumn 2019. Stay tuned for more information and how you can get involved. For more information about the NHS Long Term Plan, you can read a summary, watch this video, or read the plan in full at: www.longtermplan.nhs.uk. 2. How can we support more people to access cardiac rehab? Cardiac rehab sessions are currently provided at the Royal United Hospital (RUH) in Bath. We want to expand this service, so that more people can get cardiac rehab closer to/at home, including exercise, information, and support with their diet and mental health. Do you, or the person you care for or support, have a heart condition? Have you, or the person you care for or support, had a heart attack, heart surgery or procedure? Please fill in our short survey to tell us about your experiences and how you think we can support more people in B&NES to access cardiac rehab. The survey is available online and in paper form. The closing date for filling in this survey is Friday 10 May 2019. We are working with Bath and North East Somerset Council to review how we can improve community mental health services locally. Thank you to everyone who shared their views in our recent public consultation. We will be sharing a summary report in Spring 2019. Find out what people have told us so far and what we are planning to do about it, here. B&NES, Swindon and Wiltshire Local Maternity System are proposing to make some changes to our maternity services, and we recently ran a public consultation (from November 2018 – February 2019) to ask people what they think of our proposal. Thank you to everyone who shared their views. All feedback will be independently analysed and the results used to help the governing bodies of B&NES, Swindon and Wiltshire CCGs make a final decision. The Council and CCG are carrying out a review to see how we can improve community equipment and minor adaptation services in B&NES. Community equipment includes things like special mattresses, beds and cushions, hoists and slings, and walking frames. Minor adaptations include things like rails either inside or outside your home, and ramps. From November 2018 – January 2019, we engaged with people who use community equipment and minor adaptation services, those who care for and support them, and people who prescribe or work with community equipment. We shared a survey widely across B&NES to ask people to tell us what their experiences of using this services has been, what is working well, and what could be improved. Thank you to everyone who shared their experiences and views with us. We will share a summary of what people told us and what the next steps are, shortly. The Council and CCG are reviewing the way reablement services* are delivered in B&NES, working with those who provide services to identify new ways of working and improvements that could be made. 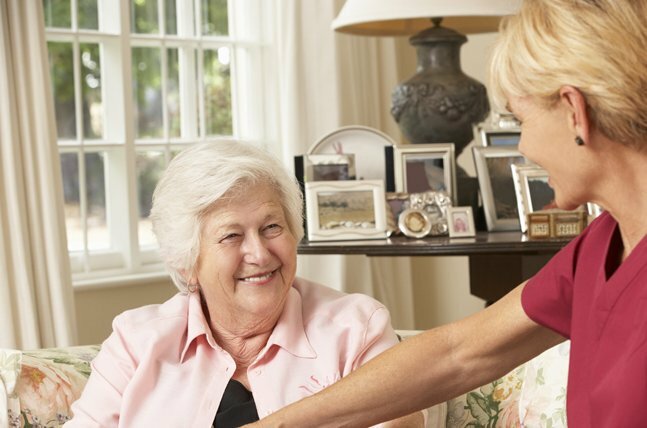 *Reablement services provide personal care, help with daily living activities and other practical tasks, usually for a short, fixed amount of weeks. 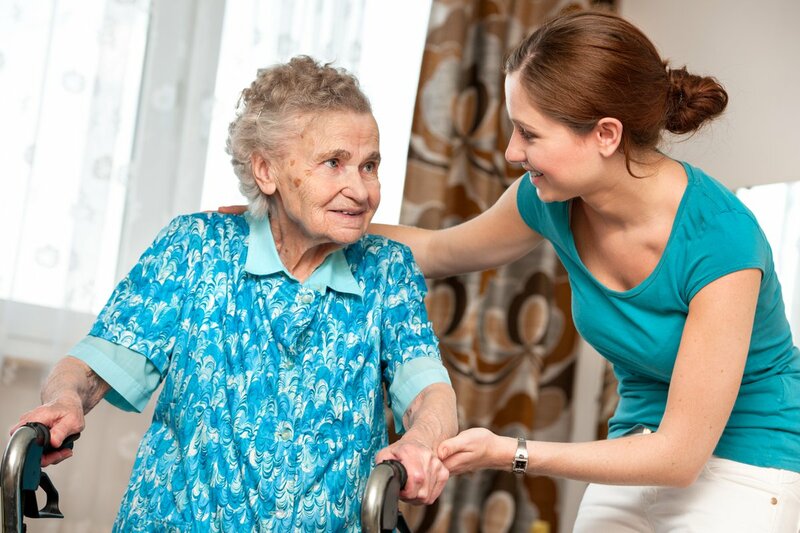 Reablement encourages people who use services to develop the confidence and skills to carry out these activities themselves and continue to live at home. From December 2018 – February 2019, we held some detailed interviews with people who use/have used reablement services in B&NES, and those who care for and support them, to find out what they think about the services. We will share a summary of what people have told us so far, shortly. We will also let you know what next steps are and how you can get involved. B&NES Council and CCG are looking at how we provide home care services and how we can make them better. During the summer 2018, we asked people to help us come up with a proposal for what services should look like in future. We recently consulted on this proposal with the public to check we have got things right. To find out what people have told us so far and what our plans are, please read our consultation document. Please note that the survey closed on 1 February 2019. We will share the results from our recent consultation, shortly. People could access appointments, treatment and support with their eye condition quickly and closer to home. People with minor eye conditions could be seen and treated by Optometrists at a local optician. People with conditions such as glaucoma and cataracts could be tested, referred for treatment/surgery and supported to manage their condition. Find out what people told us in our engagement report. People’s views informed the development of the service model and a public representative helped us to choose the provider of this new service in October 2018. What is ‘Your Health, Your Voice’? Our Your Health, Your Voice group meets every two months and provides an opportunity for the public to feedback on our plans to improve local health and care services. The group is chaired by our Lay Member for Patient and Public Involvement and acts as a critical friend to the CCG, discussing proposed service changes with commissioners from planning through to delivery. Members are also encouraged to inform and support the CCG’s engagement with the wider public, by advising us on different approaches and groups who we should consult with, and sharing information and surveys with any other local/community groups they are involved with. How access to primary care can be improved and how we can raise awareness about the different professionals people can see. How the public feel about vaccines and how we can reassure them about any concerns they may have. The key priorities being addressed by the B&NES, Swindon and Wiltshire Sustainability and Transformation Partnership (STP). How we can best explain Council and CCG integration to the public. Changes to Advance Care Planning and how we can best support people earlier on to make plans for what they would want at the end of their life. The proposal to transform maternity services across B&NES, Swindon and Wiltshire. Planned changes to improve how community mental health services are delivered in B&NES. The NHS Long Term Plan and what topics/areas of focus we should be engaging with the public on. Read summaries of these discussions, here. ‘People Powered Health’: ways people are helping and empowering each other to do more for their health and wellbeing. The CCG’s Annual General Meeting: a member shared their thoughts and reflections. The findings of this group are formally reported to the CCG’s public Board for review and discussion. Minutes from the meetings are available on the CCG’s website here. If you would be interested in joining the Your Health, Your Voice group, or would like to find out more information, please email banes.yourvoice@nhs.net or call 01225 831861. Community Champions are volunteers who represent the public, people who use services and those who care for and support them. They are the voice of the community and share their experiences and ideas for developing new services. Community Champions played a key role in our community services review in B&NES, which resulted in the appointment of Virgin Care as the primary provider from April 2017. Listen to the Community Champions talk about why they got involved. Community Champions who were involved in the Your Care, Your Way review continue to be closely involved in the transformation of community health and care services in B&NES, attending meetings with commissioners and Virgin Care across a number of different projects. Are active members of working groups. For example, as part of the community mental health services review, they have helped us to identify changes that need to be made and advise us on how we can engage effectively with a range of groups. Advise commissioners on the development of services. For example, they have been helping to shape a new model for delivering home care services in B&NES. Receive a newsletter every three months, with updates on what is happening across transformation projects, and opportunities to get involved. Read the December 2018 issue here. Attend training days as a group, when they are given opportunities to feedback on their role and develop skills, such as how to consult with others and capture their views. The Champions helped us develop some top tips for consulting with the public. In September-October 2018, a public representative who has a visual impairment and experience of using eye services helped us to decide who should deliver a new community eye service in B&NES. Their role involved evaluating and scoring bids from different services, and discussing these with colleagues from across the CCG as part of a moderation panel. We are not currently recruiting any Community Champions, but will share any future roles and opportunities here.